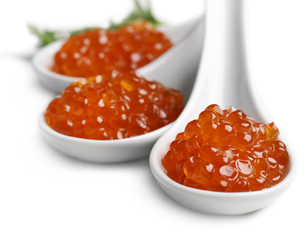 We at Seafood Lovers Restaurant Guide are, first and foremost, Seafood Lovers. We are passionate about what we do. Our love of seafood, and our often hit and miss experience finding new seafood restaurants on the Internet has given rise to the Seafood Lovers Restaurant Guide. It’s our intention that whether you’re looking to dine near home or when away in the UK, Ireland, the Isle of Man or the Channel Islands, you will be able to type a town or postcode into our search page and get every seafood restaurant existing that fits the search filters you choose, with lots of relevant information about the restaurants to help find the one that’s right for you. Whether you want a restaurant where you can see the sea, or sit outside, or both, or where you can get a seafood platter, special offers, themed nights and restaurant events, or even a place where you can spend the night after dinner, we can help you find it. We can also get you the nearest oyster bar, or help you find seafood cabins/kiosks where you can grab lobster or cracked crab and walk along the water. As a rule we do not list fish and chip shops, but a few have seating and offer dishes like lobster, crab, oysters, etc, and you will find them here. 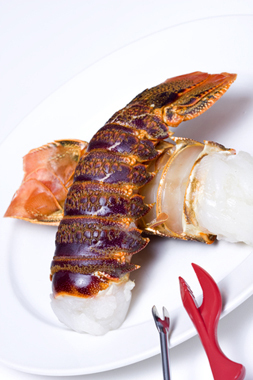 Because we are all about seafood, we don’t list other cuisines that simply include seafood in some of their dishes. There are a few exceptions where individual restaurants have such an extensive offering of seafood, where seafood is the primary component of their meals that we decided to include them in our guide. We’re working to become fully inclusive of every seafood restaurant in the UK, Ireland, the Isle of Man and the Channel Islands. We’re a brand new site and haven’t found every restaurant yet, but we do have over eight hundred so far, and we’re still adding. You can help if you like, by telling us about restaurants you know that aren’t on our list, and for each one you recommend (that we agree to add), we’ll put your name in that month’s Seafood Dinner Contest draw for sixty pounds toward a meal at any restaurant on our site. You can also get into the draw by telling us about restaurants on our site that you think shouldn’t be (if we agree and remove them), by reviewing your dining experience at any restaurant listed on our site, or by setting us straight on anything you find on our site that we then change or correct. Please see our Seafood Dinner Contest page for more ways to enter our monthly draw. We’ve given you as much information about each restaurant as we can, but it’s up to the restaurant owners themselves to let us give you their menus, photos, special offers, themed events, table reservation links and accommodation information, etc. So far some do and some don’t, but we’ve only just begun and in time we hope to bring you all this and more for most or all the restaurants listed on our site. We are also your source for your nearest Fishmongers, the kind of places that regularly have a good selection of premium fish as well as shellfish, and also for companies that will ship Seafood to Your Door for even greater convenience. And don’t miss our list of fantastic Seafood Festivals and Events throughout the country and abroad. In our Preparing Seafood section we provide links to videos on How To Prepare And Cook Seafood where you will learn how to prepare seafood before you cook it, how to cook it, and for many items like lobster, crab and squid, we'll show you what’s edible and how you get at it. We also have a Blog section with blogs on such subjects as Sustainable Seafood, Nutritional Values Of Common Fish Types, and Fish For Health. Our blogs can cover anything relevant to seafood lovers, so please feel free to recommend what you would like to see. We also offer a Newsletter featuring Seafood Articles, recipes, recommended cookbooks, featured restaurants and anything else of interest to seafood lovers. In our Seafood Lovers Restaurant Guide Shop you can buy seafood related items such as cookbooks, cookware and clothing. We’ll be looking to keep adding quality items. One more thing. In deciding what makes a restaurant a seafood restaurant we spoke to many people and there was a lot of variation in their responses. In the end we’ve listed two groups. Whether or not they fashion themselves as seafood restaurants, those with a Crab Icon next to their name on our results pages offer a greater array of larger shellfish (particularly items like lobster, crab, oysters, and langoustines) in addition to a good choice of fish. We have given a Fish Icon to restaurants that offer an excellent selection of fish as well as a reasonable choice of shellfish (usually smaller shellfish such as mussels, king prawns and scallops). Both categories should satisfy any Seafood Lover. The decision which Icon to give a restaurant bordering between a Crab or Fish Icon, or whether to list it at all, is of course a personal judgement. Unless we’ve been to a restaurant ourselves we base our decisions on their published menus wherever possible, but sometimes we’re forced to look to comments about their menu selection made elsewhere. Nothing is set in stone, however, and we’re sure there are restaurants out there we’ve given a Fish Icon based on their menus published on the internet who will in fact run specials boards on a regular basis with fresh catch of the day from local fishing boats with the kind of shellfish selection that should give them a Crab Icon, or restaurants we’ve decided not to list at all whose specials boards would easily qualify them for inclusion under either icon. That’s where we could use your help; local people with local knowledge only obtainable by being there. So if you think you see a restaurant listed under the wrong icon, tell us why and if we agree we’ll put your name in the monthly Seafood Dinner Contest draw. Remember, an Icon is simply a guide to the general focus of a seafood restaurant: Crab Icons offer a greater selection of shellfish, especially larger shellfish (like lobster and crab) and Fish Icons focus primarily on a great selection of fish, along with a smaller offering of shellfish. You don’t have to be registered with Seafood Lovers Restaurant Guide to tell us about restaurants that should be added or removed or that should have their icons changed, but you must be registered with our site to participate in the Seafood Dinner Contest. Everyone registered with us will also receive our Newsletter with seafood articles, featured restaurants, recipes and more. If you are a restaurant owner and feel your restaurant should be listed on our Guide, should be listed under a different icon, or would like to see information about your restaurant updated or corrected, or if you’d like to Advertise with Us please Contact us. If you are a Fishmonger and feel you should be added to Seafood Lovers Restaurant Guide, would like to amend information if you are already on our site, or would like to Advertise with Us please Contact us. We’ll continue adding to what’s on offer at Seafood Lovers Restaurant Guide, so please tell us what you feel would make the Guide better for you and all the other Seafood Lovers out there. We hope you enjoy our guide.